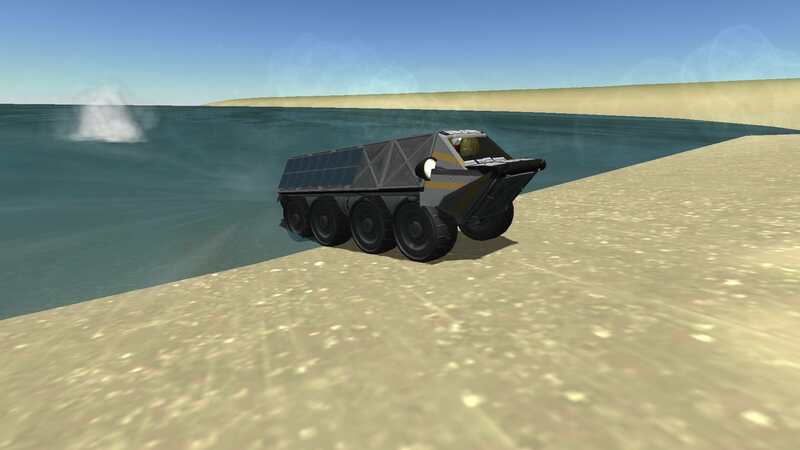 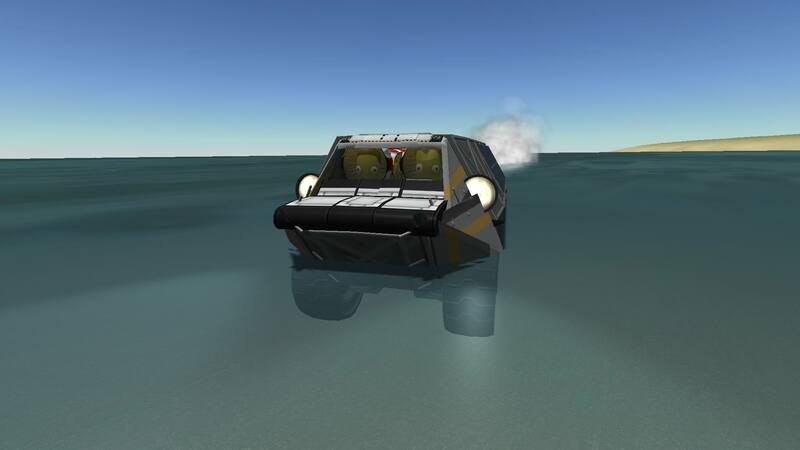 Cheap amphibious APC for delivering a dozen Kerbals to where they’re needed. 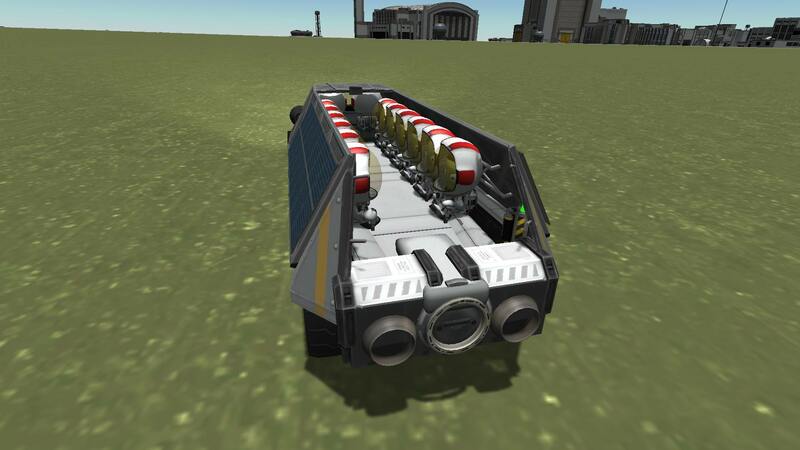 Open topped for extra freshness and because Kerbals are cheaper than roofs. 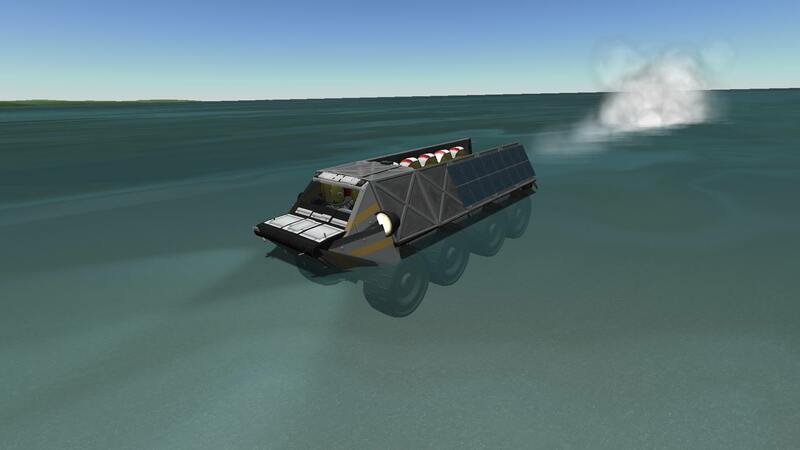 Enter water at less than 20 m/s, pitch up and down til you start picking up speed. 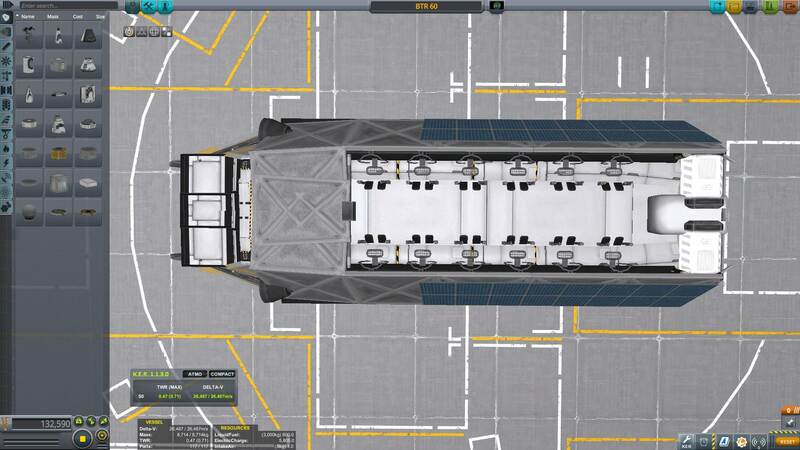 Tops out at about 9 m/s.